Cue the end of the fastest weekend ever — even though we did have an extra hour of sleep. Did you have a good Halloween? My friends and I crashed a few parties on Friday night, spent most of Saturday at some friends’ house drinking coffee and trying out some pastries (yum! ), watched Nightcrawler and finished reading a book, The Receptionist. 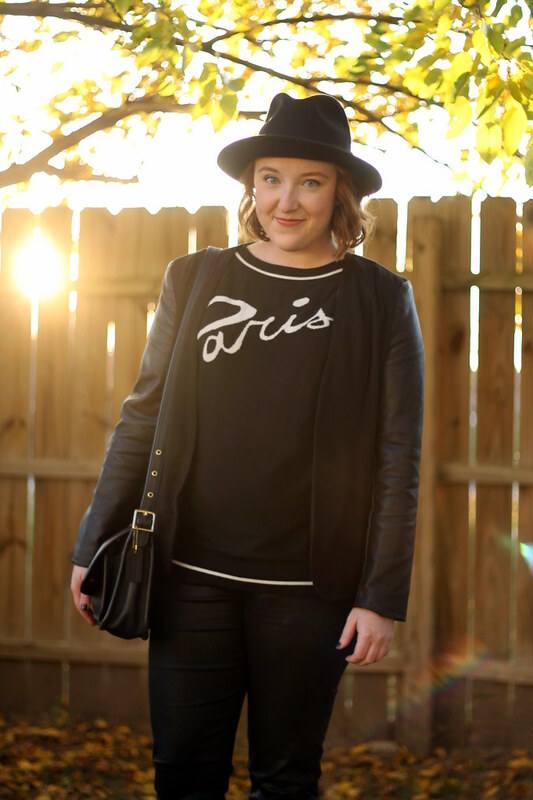 It’s finally consistently cool here in Omaha, so I’ve been reaching for dark, moody clothes. 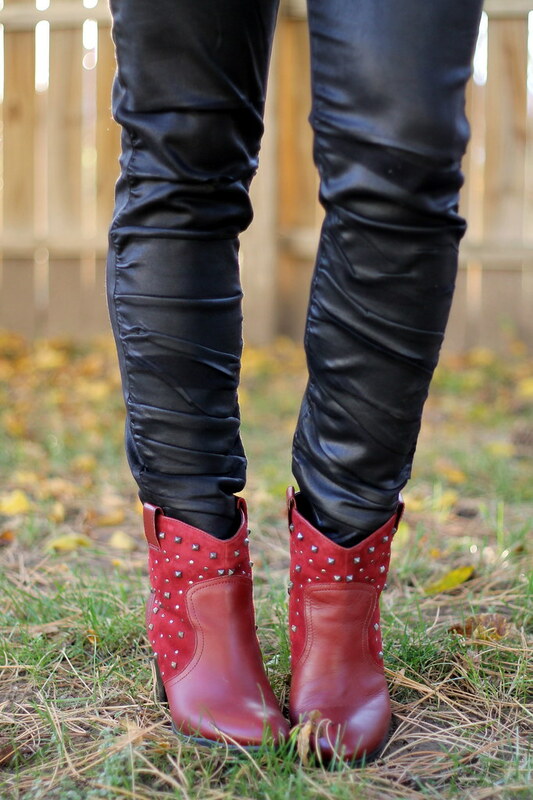 These wine-colored Steve Madden boots were the steal of the fall, and while I don’t usually gravitate toward cowboy-esque boots, I couldn’t turn down the studs, the color or the price.